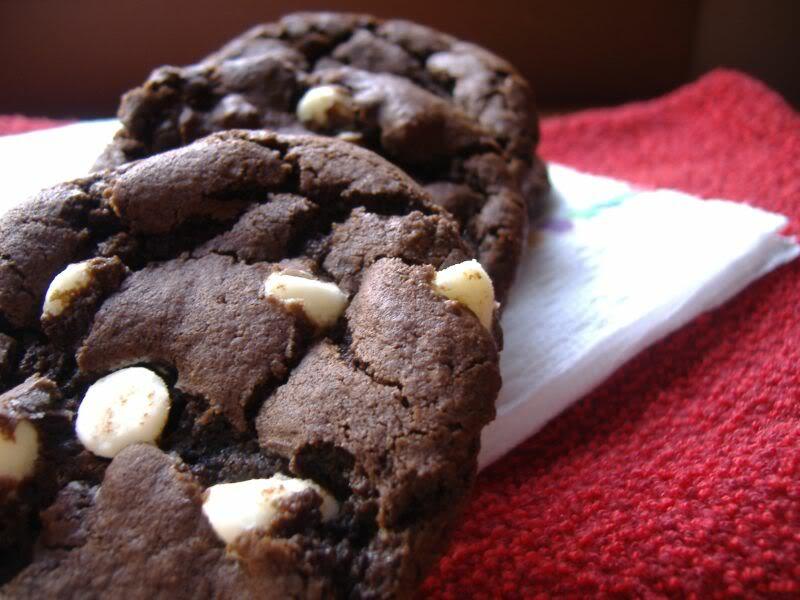 Your MatchGirl found this recipe for cookies made with ricotta, cocoa powder and white chocolate chips. While I'm not actually that concerned about lessening the fat content through the use of ricotta, I'm interested in the texture and the taste. I haven't had a chance to bake them yet, but I think they'll be great.